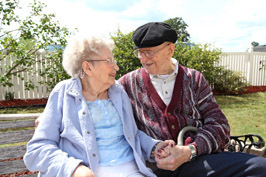 We understand that dealing with Medicare or Medicaid benefits and eligibility can be confusing. At Laurel Health Care Company, we are here to help. Our team has established a list of frequently asked questions about Medicare and Medicaid. Medicare does not cover stays at our Assisted Living Maplewood locations, however some durable medical equipment and most therapy is covered under Medicare Part B.